Our fifteen hour (from LAX) flight on Qantas was the finest flying experience we’ve ever had. With nine hours of sleep en route, we were able to get out into the afternoon shortly after arrival. Melbourne is the capital of the state of Victoria. This progressive and highly livable city has 4.7 million residents. 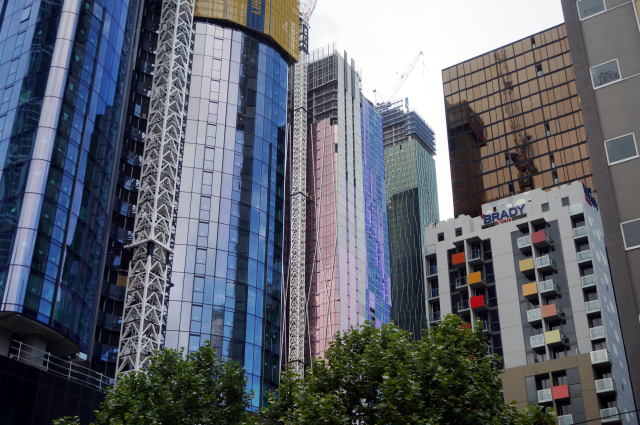 The amount of new, high-rise construction speaks of its prosperity.